Selecting the best nursing school in Virginia can be difficult. To make the process easier first look for a school that supports students towards licensure and beyond. A great way to measure this is through NCLEX-RN "pass rates." We have ranked the top 20 nursing schools in Virginia by analyzing current and historical NCLEX-RN "pass rates", meaning the percentage of graduates who pass the exam, out of the 63 RN programs in the state. Programs reviewed include schools that offer an Associate in Nursing (ADN/ASN), BSN, or Direct-Entry MSN Degree. Beginning your career as a registered nurse in the state of Virginia couldn't come at a more opportune time. According to the Virginia Nurses Association, there is a nursing shortage in the state. In fact, by the year 2020, one in three Virginians may have to go without the healthcare needed due to the shortage. Needless to say, registered nurses are in high demand in the state. With an average salary of roughly $65,340 (according to the Bureau of Labor Statistics), a career in registered nursing that is both rewarding and lucrative can be a reality in Virginia. A 2-year Associate's Degree in Nursing (ADN) is a great way to start your career as a registered nurse. The shorter length makes it particularly attractive to those who are looking to get started in the field as quickly as possible. Since ADN programs are often offered at community and technical colleges, it can also be an a more cost effective way to become an RN. With an astounding 40-plus schools in the state that offer an ADN program, students from both rural and urban areas have the ability to find schools that suit their needs. Choosing a school with the proper accreditations is crucial. You'll want to be sure the schools you consider hold accreditation from national organizations such as the Accreditation Commission for Education in Nursing (ACEN) and/or the American Association of Colleges of Nursing's Commission on Collegiate Nursing Education (CCNE). You'll also want to ensure that your school's program is accredited locally by the Virginia Board of Nursing. It's important that your school of choice's program fully prepares you to take the National Council Licensure Examination for licensure as a Registered Nurse (NCLEX). The American Association of Colleges of Nursing reports that 87% of new nurse graduates in Virginia passed their NCLEX exam in 2015 and received licenses. Located in Lynchburg, Virginia, Centra College of Nursing is just one example of a school that offers an accredited ADN program in the state. It's crucial to consider tuition costs as you compare ADN programs. You'll also need to remember that tuition is just one portion of what you'll be paying for in order to earn your degree. Textbooks, fees, and uniforms are all examples of costs you may incur, and these may or may not be included in the price of your school's tuition. As an example, the ADN program at Virginia Western University, located in Roanoke, Virginia, has an estimated cost of $15,467.06, including textbooks and additional fees. There are many advantages to going through an ADN program, but arguably the two biggest advantages are length and cost. At 2 years, it's one of the fastest ways of becoming a registered nurse. Because of the shorter length of the program, it also costs considerably less than other 4 year programs, and can be found at affordable institutions such as community colleges. For those who have already completed a Licensed Practical Nurse (LPN) program, there are accelerated pathways available to advance to registered nursing. These LPN to RN "bridge" programs build upon the LPN's prior education, making the total program time much shorter than a traditional program. The first degree option available to LPNs is the ADN degree via the LPN to ADN program. This is the shortest route to registered nursing, often taking less than a year to finish. Virginia Western Community College in Roanoke offers an LPN to ADN (AAS) pathway to prepare students for a career as an RN. For those interested in a bachelor's degree, there are also LPN to BSN programs available, though these are slightly longer. Hampton University, for example, offers a 3-year LPN to BSN program. If you are looking for a more advanced nursing career, a Bachelor's of Science in Nursing (BSN) is an excellent option. Earning your BSN opens you up to a larger pool of job opportunities, including public health nurse and nurse educator. These jobs often come with a substantially higher salary as well. The trade-off is that the program is a bit longer, at roughly 4 years to completion for a traditional BSN. With over 20 BSN programs offered at schools all over the state, Virginia is a great place to earn your BSN. Just like you would for an ADN, you'll want to look for a few main things when considering a school to earn your BSN. Things like legitimate accreditation, program outcomes, and proper preparation for your licensure exam are all very important when it comes to comparing programs. You may also want to see if your school offers an RN to BSN program if you already hold a nursing license. As an example, Norfolk State University in Norfolk, Virginia offers an accredited BSN program. A traditional BSN program will last 4 years. However, programs are considerably shorter if you are already an RN, as many schools also offer an RN to BSN program. If getting done quickly is of utmost importance, you can also look for a school that offers an Accelerated BSN program. Tuition and other costs and fees for your BSN can be hard to decipher, and can vary from school to school. Sometimes a school's tuition includes additional costs, like books and uniforms, and sometimes these fees are separate. For example, Bon Secours Memorial College of Nursing, located in Richmond, Virginia, has an estimated total BSN program cost of $46,320, including tuition, fees, books, and other costs. The great thing about earning a BSN is the amount of options it gives you. Increased job opportunities and a higher salary are just two of the reasons that going for a BSN can be advantageous. Even those who are already registered nurses choose to go on and complete their BSN to advance their careers. If you're looking to go beyond a BSN, a Masters of Science in Nursing degree (MSN) (link to ) is the logical next step. This advanced degree can lead to nursing jobs including Clinical Nurse Specialist, Certified Nurse Midwife, and Nurse Practitioner, among other specialties. You must already hold a BSN if you want to move on and earn an MSN. Most MSN programs last roughly 3 years. Many schools structure the MSN programs so that they are flexible, since most students in the program are busy working nurses. It's a good idea to see what kinds of schedules your desired MSN program offers; part-time, night classes, and even online classes are sometimes available, depending on the school. As with other nursing degrees, tuition and costs for MSN programs can vary widely. As an example, the University of Virginia School of Nursing lists their estimated tuition for in-state residents at $18,128, not including supplemental fees. 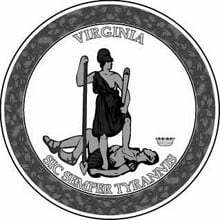 Virginia State Board of Nursing mandates that candidates looking to procure a license meet certain criteria, as well as completing an application, candidates must submit supporting documentation. How long is too long to fast track your career? If you complete an accelerated program in 12 to 18 months, would you consider taking the full-time commitment that it requires? Accelerated programs are rigorous in nature and require participants to attend as full-time studies, working during these programs is not recommended. Gaining entrance into the programs will be dependent upon any required credits that need to be completed prior to the beginning of the program. Fees for these programs are based on the rate charged per credit hour, which means if there any additional credits required, fees may increase. Danville Community College's 66-credit ADN program aims to fill the demand for registered nurses in the area. DCC graduates are leaders in the field, providing quality patient-centered care with precision and skill. Get all the program details by visiting the Danville Community College website. Bon Secours Memorial College of Nursing in Richmond, Virginia offers an excellent BSN program pathway. Small class sizes, modern technology in simulation labs, and theoretical/practical elements that are all taught by dedicated experienced faculty are just a few highlights. Visit the Bon Secours Memorial College of Nursing nursing website to learn more. Graduates from Southside Virginia Community College in Alberta, Virginia are given five core values throughout the education process including patient-centered care, professional identity, nursing judgment, collaboration, and safe and effective care. These values are what make the graduates an exceptional addition to the nursing field. Learn more by visiting the Southside Virginia Community College - Alberta nursing website. Sentara College of Health Sciences in Chesapeake, Virginia has over 100 years of contributing extraordinary nursing professionals into the community. The BSN program exposes students to a variety of challenges and practices to guarantee they will graduate with confidence in their skills and knowledge. Visit the Sentara College of Health Sciences nursing website to learn more. Radford University is located in the beautiful namesake town of Radford, just west of Roanoke. The campus boasts a newly constructed building that offers state-of-the art technology, simulation labs, and seasoned faculty. Follow the link to learn more about the Radford University nursing program. Longwood University, located in Farmville, offers a CCNE-accredited BSN program designed to create the next generation of nursing leaders. The curriculum blends classroom theory, laboratory work, and clinical experiences to give students a well-rounded educational base for career excellence. Visit the Longwood University nursing website to learn more. The nursing program at Rappahannock Community College in Saluda, Virginia focuses on student-centered education to ensure the success of every student. The ADN program maybe challenging, but you will reap the rewards of being sought-after in the nursing field. Visit the Rappahannock Community College nursing website to learn more. Southside Virginia Community College’s South Boston campus offers an ADN degree to prepare students for a career in registered nursing. The curriculum includes coursework and clinical learning experiences arranged within the community to give students a complete nursing education. Learn more by visiting the Southside Virginia Community College - South Boston nursing website. Southside Virginia Community College's John H. Daniel campus in Keysville offers students an exceptional Associate of Applied Science nursing program. The dedicated faculty guide students to deftly perform the duties of a registered nurse with confidence. Follow the link to learn more about the Southside Virginia Community College - John H. Daniel nursing program. Those looking for an accredited associate degree nursing program in the Richmond area can opt for John Tyler Community College's offering. Students enrolled at JTCC can take either the traditional track or the hybrid distance education track, which offers the theory portion of the curriculum online. Learn more by visiting the John Tyler Community College nursing website. The BSN programs offered at Radford University's Roanoke campus are delivered by experienced, supportive faculty that practice under four basic concepts. Healthcare revolves around client, environment, health, and nursing; graduates are able to confidently execute these values. Get all the program details by visiting the Radford University - Roanoke website. Virginia Commonwealth University's nursing program's core values revolve around lifelong learning, ethical and critical decision-making, and a holistic approach to nursing. Located in Richmond, Virginia, graduates are well-prepared for gainful employment. Visit the Virginia Commonwealth University nursing website to learn more. Alexandria's Saint Michael College of Allied Health provides students with an associate degree nursing program to propel them into the ranks of registered nursing. The curriculum emphasizes communication, patient advocacy, team collaboration, and top-notch clinical skills. Learn more by visiting the Saint Michael College of Allied Health nursing website. James Madison University in Harrisonburg, Virginia has a renowned BSN nursing program that sees graduates flourish in the nursing profession to leadership roles quickly. State-of-the art equipment and 'real-world' experiences are some aspects of the program that help graduates successfully enter the nursing profession. Check out the official James Madison University nursing program. Southside Regional Medical Center School of Nursing is located in Colonial Heights, Virginia and provides students with experience in and out of the classroom that will allow graduates to confidently provide exemplary nursing care. Supportive and knowledgeable faculty foster excellence in care and learning. Check out the official Southside Regional Medical Center School of Nursing nursing program. Graduates of the ADN program at New River Community college in Dublin, Virginia can confidently enter into the professional world with the knowledge and experience needed to make a difference. Visit the New River Community College nursing website to learn more. Germanna Community College offers a 2-year associate's degree in nursing program that focuses on professional, patient-centered nursing care. Graduates go on to careers in hospitals, medical facilities, and more. Get all the program details by visiting the Germanna Community College website. The Clifton Forge campus of Dabney Lancaster Community College is home to a stellar associate's degree in nursing program. Throughout the classroom and clinical portions, students are taught to care for patients in both acute and non-acute settings. Visit the Dabney Lancaster Community College nursing website to learn more. Liberty University in Lynchburg centers its nursing programs on the Patricia Benner framework, as well as high Christian standards. Theoretical and practical teachings are viewed as a 'ministry of caring' and are carried over to professional standards upon entering the nursing field. Get all the program details by visiting the Liberty University website. Reynolds Community College's downtown campus is home to a renowned associate's degree in nursing program. The curriculum weaves healthcare and nursing theory concepts with hands-on clinical practicum, preparing nurses for successful RN careers. Visit the Reynolds Community College nursing website to learn more.